High-energy, high-performance cargo and vehicle inspection system. The AS&E® OmniView® Gantry is a high-energy transmission imaging system that can penetrate up to 400 mm of steel on cargo containers, tankers and large vehicles up to 5 meters high. Its high penetration and best-in-class imaging makes it the ideal solution for detecting threats and contraband in densely-loaded cargo at ports and borders. The bi-directional system operates on rails and can scan stationary trucks at a rate of approximately 28 trucks per hour. Optional integration with a multi-sided Z Backscatter® imaging module improves manifest verification and the detection of organic materials. 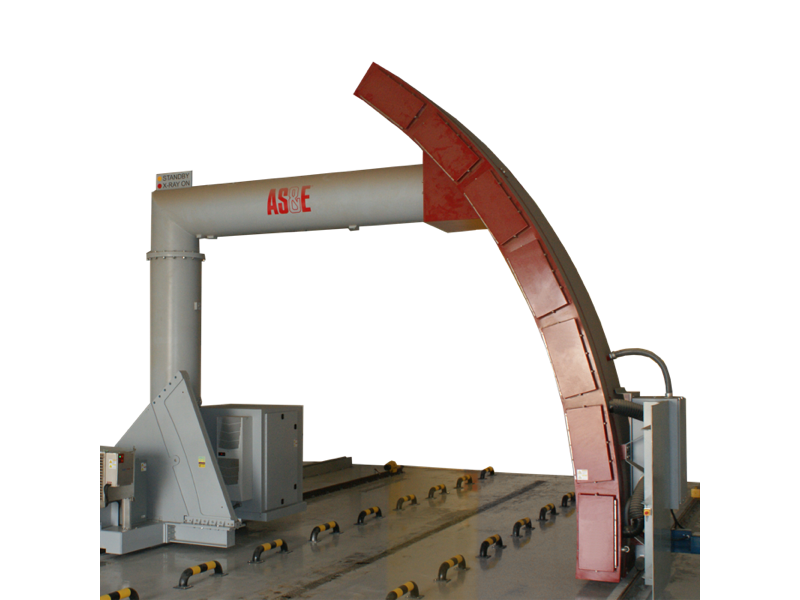 Customs agencies need best-in-class imaging to confidently screen densely-loaded cargo at busy ports and borders; the AS&E® OmniView® Gantry system delivers.